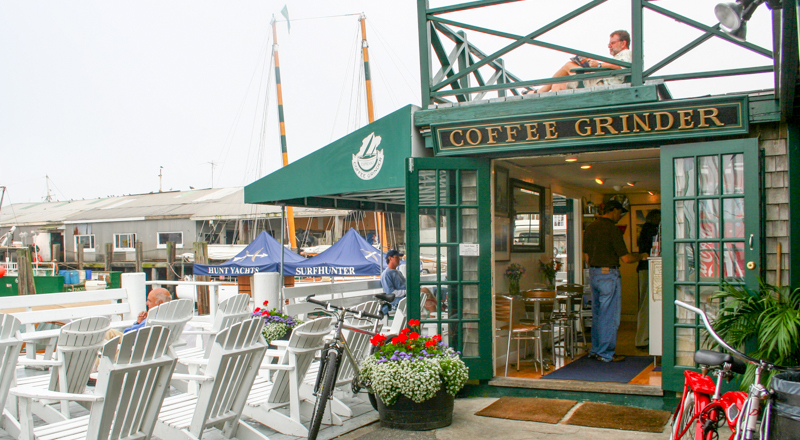 On the very end of Bannister's Wharf, overlooking historic Newport harbor, you'll find the Coffee Grinder, a charming espresso bar and coffee shop. 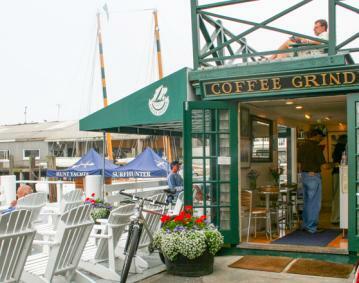 Authentic Italian espresso drinks and some of the best coffees in Newport are prepared here the proper way. Also served are a variety of light food items, including fresh bagels, muffins and sandwiches.